Scholarship is an important part of the Junior League of Tulsa’s (JLT’s) work in the community. Each year, the Junior League hosts our Mentorship Luncheon—an occasion to honor the impact of mentorship and scholarship in developing exceptional women leaders. The Mentorship Luncheon also marks an opportunity for the League to honor its annual scholarship recipients. We are proud to award two Founders’ Scholarships and two Mrs. W. Albert Cook Scholarships. The Founders’ Scholarships go to graduating high school women who demonstrate an exceptional commitment to academics and volunteerism. The Mrs. W. Albert Cook Scholarships are awarded to nontraditional students—women returning to their studies after an absence or who are just beginning to pursue higher education—based primarily on financial need and a commitment to completing a degree. Last year, Stacy Hill was awarded a Mrs. W. Albert Cook Scholarship to continue to pursue a degree in nursing at Tulsa Community College. 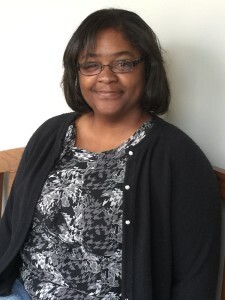 Stacy has not been able to attend college full time due to various obstacles she has encountered over the years. In her application for the JLT scholarship, Stacy shared that not only is she a single mother to two children, but she also is the sole caretaker for her mother, who is intellectually disabled. Stacy has not been able to graduate because she has had to work full time in order to provide for her daughters and mother. She says providing for her mother, children, and grandchildren is what inspires her to persevere toward her goal of a degree.